An examination into the detection of harbour porpoises is helping to give new understanding of effective monitoring of species under threat from anthropogenic activities such as fisheries bycatch and coastal pollution. In a first study of its kind, Dr Hanna Nuuttila, currently at Swansea University's College of Science -- together with scientists from the German Oceanographic Museum, the University of St Andrews and Bangor University -- revealed how playing back porpoise sounds to an acoustic logger can be used to assess the detection area of the device, a metric typically required for effective monitoring and conservation of protected species. Harbour porpoises are best monitored using underwater acoustic dataloggers, which record the echolocation clicks used for navigation and foraging. This study looked at the most frequently used devices to record these animals and devised an experiment that allowed researchers to determine the range of loggers -- something that previously hasn't been known. 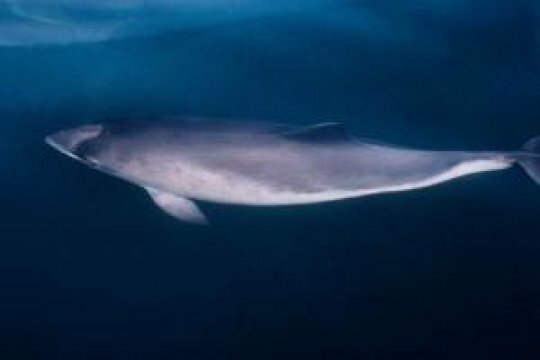 This was done by playing back artificial and real, recorded harbour porpoise echolocation clicks to a number of recorders at varying distances and sound source levels. This allowed researchers to estimate the proportion of all the sounds that were captured by the device, and assess how this was affected by distance from the sound source to the recorder. The maximum distance the recorder captured porpoise sounds was 566m, however the mean effective detection range (EDR) of a raw signal was calculated at just under 200m and those classified as porpoises by the inbuilt algorithm was 72m. Each underwater click logger would thus provide a circular sampling station of 144m diameter, which could be used in subsequent abundance estimations. Harbour porpoises are one of six species of porpoise, otherwise known as marine mammals, and are increasingly under threat from anthropogenic activities, such as fisheries bycatch, noise and coastal pollution. They are protected species and monitoring their presence and distribution is legally required. "Although animals can be recorded using acoustic devices, it can be very difficult to quantify the exact ranges and detection areas for acoustic dataloggers, something which is crucial if acoustic data is to be used to estimate animal abundance. "This study describes a playback experiment and an analytical method to estimate the effective detection range and area for passive acoustic cetacean click-loggers."